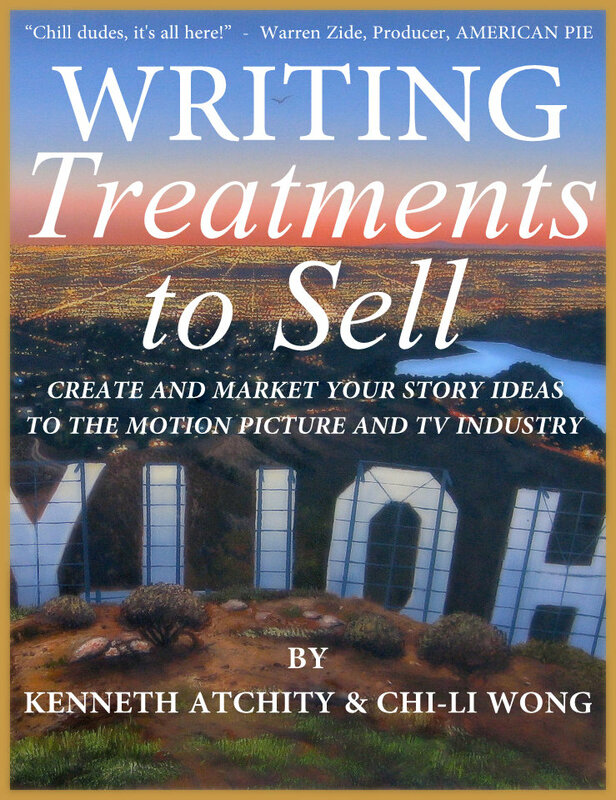 Writing treatments that sell is a first book of its kind devoted entirely to the function of treatments in film and TV and how to write and present effective ones. 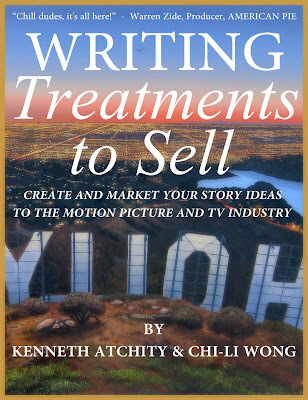 The book is a collaboration by Kenneth Atchity and Chi-Li Wong, partners in Atchity Entertainment International, Inc.
Kenneth and Chi – MA is sincerely honored by your willingness to share your knowledge and adventure relating to this new book. So without any further ado here are all our questions. What made you initiate the idea of providing a guide like Writing Treatments to Sell? The most frequent question we were getting from clients—novelists as well as itinerant screenwriters was “what is a treatment?” We realized that book answering this question would be helpful. The book’s target audience is anyone who wants to write or sell a story to the motion picture or television world. Who ended up putting pen to paper? We have a process where we outline the content together, Chi-Li takes a shot at the first draft, then Kenneth does the next, etc. Is the book specifically targeted for the film industry only? Although we targeted the book to the film industry, in the years since it was first published we've learned that its useful to writers of all kinds—children’s books, novels, etc.—because it helps them to “get the story straight” before launching into the actual drafting. Why a book based specifically on treatments? Because a treatment is a unique creature that will never itself see publication or production, and therefore everyone wonders why it even exists. To quote directly from the book: “A treatment is a relatively brief, loosely narrative written pitch of a story intended for production as a film for theatrical exhibition or television broadcast. Written in user-friendly, dramatic, but straightforward and highly visual prose, in the present tense, the treatment highlights in broad strokes your story’s hook, primary characters, acts and action line, setting, point of view, and most dramatic scenes and turning points.” The book goes into detail about the meaning of each phrase in this definition, distinguishing the treatment from “coverage,” “synopsis,” “outlines,” among others. The Story Merchant itself is all about content, branding and consultation in the entertainment and media arena. How does this book tie into the bigger plan of Story Merchant? This book, like Atchity’s How to Publish Your Novel or Write Time: A Guide to the Creative Process, from Vision through Revision is a tool by which the Story Merchant shares experience in the commercial world of stories with aspiring storytellers. Does reading the book create a sense of more business for Story Merchant or is it more directed towards internal growth for each and every writer / screen writer? We can’t spend time with every storyteller out there who needs guidance, so we wrote this book to help anyone who’s motivated enough to buy it—now available in ebook for the first time. But that’s not to say Story Merchant has found coaching clients through this and Atchity’s other books. Being an aspiring author myself, I find that optimism and endurance are two of the main things to hold onto while craving for acknowledgement towards your own work, what is your advice towards fellow aspirers who look up to yourselves for hope? We’ve learned that hope is great, but determination is even better, when it comes to success. Just keep working on your career, whether you’re in a good mood or not, whether you’re hopeful or not. Work is the only sure road to success. Reviews of Writing Treatments To Sell. Why a book on treatment. Writing treatments that sell excerpt. Reviews of The Mercury Transition. Reviews of The Classical Roman Reader. Reviews of The Renaissance Reader. While the first 4 topics are clearly related to the obvious could you explain the collaboration on the balance? What defines these topics? Simply that they’re all books from Kenneth Atchity. In general how has publishing and moving into the entertainment industry changed for writers. I mean – I myself sometimes wish that I had started writing ten years earlier as it seems as if the market might have been less chaotic. In today’s time it’s as if everyone can put pen to paper and call themselves an author. How do you define the word author, writer? A writer is someone who WRITES, and who cares enough about her writing to find an audience for it. While everything else has changed, that definition has not changed and will not change. Last but not least, what else can people look forward to? Being in the industry you are it is important to recreate your image and stay in the zone with current trends, how do you intend on moving forward while carrying the weight of years and years’ experience in the existing field? How do you mould yourself to be eye catching and present in the future? More books are in the works, focused on marketing your writing and on selling your writing, as well as a just-completed book of quotes for writers. We move forward by changing because we respond to a changing world. As always, thanks a lot for your presence and willingness to Share. Thanks for providing this wonderful forum. Kenneth Atchity is known as the Story Merchant. Why has he been defined accordingly?